The Institute of social sciences and humanities – Skopje, with the support of the Rosa Luxemburg Stiftung Southeast Europe, announces a call for participants the School for politics and critique with the participation of the following keynote speakers: Ray Brassier, Oxana Timofeeva, Agon Hamza, Katerina Kolozova and Davor Löffler and others to be confirmed soon. The full program with all the speakers, panelists and moderators will be announced soon. The ‘School for Politics and Critique” is an educational and emancipatory platform of the Institute of social sciences and humanities – Skopje supported by the Rosa Luxemburg Stiftung Southeastern Europe. 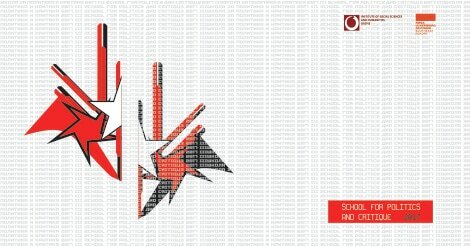 The School started on 2014 and it aimed to strengthen the Marxist and social critique in Macedonia through a series of workshops and lectures dedicated to activists and theorists. It total, there were 20 sessions and workshops organized until 2017 with more than 600 participating activists and 32 lecturers including theorists, philosophers, political activists, journalists and public intellectuals. This year,we intent to continue to connect the local and the regional activist and theoretical scene in a format that will enable an exchange of experiences of action, will help to think and rethink conceptual frameworks of political strategies and will contribute to the process of developing a regional political reference for the new emancipatory and political-left movements. download below) to the following email address:info@isshs.edu.mk.